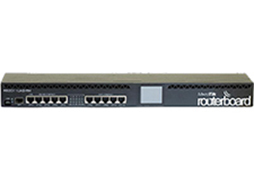 Tanaza now supports the Mikrotik Routerboard RB2011UiAS-RM. This high-end device works as gateway and can be used, by purchasing a special Tanaza license, to add a splash page on existing networks of not-supported access points. The device is suitable for high-density environments where there are hundreds of concurrent connected clients.